Get Brand New Suzuki Ciaz by Trade-in Old Swift or Any Other Car. Pak Suzuki is up with an exciting offer for its customers. Now the customers of Suzuki Swift and other old version of Suzuki cars can get the all new Ciaz with Trade-in offer. Just bring your old Suzuki Swift and other Suzuki cars and get new Ciaz. 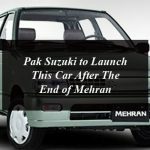 Pak Suzuki has launched the Ciaz in its endeavor to restore its reputation in the country. Suzuki Ciaz is the valuable competitor to Honda City and Toyota Corolla models. Straightly imported from Thailand the Ciaz includes impressive exterior and technical interior that makes it more comfortable and roomy. The Suzuki Ciaz features1.4 Liter powerful and fuel efficient K-series engine. Other features of Ciaz include keyless entry, ABS brakes with EBD, SRS airbags. The Suzuki Ciaz is available in two versions including automatic and manual. It comes with a three year warranty. 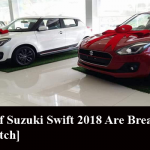 In collaboration with Bank Alfalah, Pak Suzuki has come up with a promotional offer and giving away a new Ciaz with Trade-in old cars, in an effort to boast the sale of Ciaz models. How to trade your Old Car? Get Brand New Suzuki Ciaz by Trade-in Old Swift or Any Other Car. Pak Suzuki is up with an exciting offer for its customers. Now the customers of Suzuki Swift and other old version of Suzuki cars can get the all new Suzuki Ciaz with Trade-in offer.